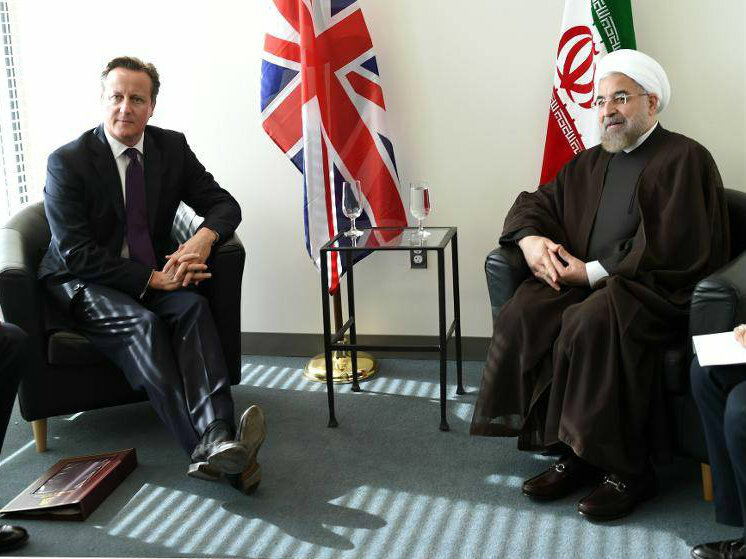 Iran on Thursday rejected accusations from British Prime Minister David Cameron that it supports “terrorism”, pointing out instead that it is leading the fight against groups like the Islamic State. Addressing the UN General Assembly in New York on Tuesday, Cameron said Iran could be “part of the solution” in the fight against IS jihadists, while making clear his criticisms of Tehran’s “support for terrorism organisations”. Britain and the United States have had tense relations with Iran since the 1979 Islamic revolution ousted the country’s Western-oriented shah. But Iran, a Shiite clerical regime, is a staunch foe of IS, the Sunni Muslim jihadists against which a US-led coalition has been targeting with deadly air strikes. It has accused Sunni Arab and Western nations of helping to create IS by backing the rebellion against Syrian President Bashar al-Assad. In his UN address, Cameron said “Iran’s leaders could help in defeating the threat from ISIL,” using another acronym for the Islamic State group (IS), which has committed widespread atrocities after overrunning swathes of Iraq and Syria.